Before earning Title IV status, each school must meet five requirements established by the U.S. Department of Education. They must (1) have accreditation recognized by the U.S. Department of Education, (2) grant an associate's degree or higher, (3) offer a program of at least 300 clock hours in length, (4) be in business for at least two years, and (5) sign a participation agreement with the Department. A number of Title IV schools in Texas offer excellent art and design programs—including animation. Just a few include University of the Incarnate Word, San Antonio and the University of Texas at Dallas. Continue reading to find out which Texas schools offer animation programs and how much you can expect to pay. University of the Incarnate Word, San Antonio - Tuition Information: Undergraduate $12,950 per semester; Graduate $850 per credit hour for the 2015-2016 school year. Texas A&M University, College Station - Tuition Information: Undergraduate residents $9,180, nonresidents $26,356; Graduate residents $6,406, nonresidents $12,778 for the 2014-2015 school year. University of Texas at Dallas, Dallas -Tuition Information: Undergraduate residents $5,342 per semester, nonresidents $13,477 per semester; Graduate residents $7,029 per semester, nonresidents $13,852 per semester for the 2014-2015 school year. Tuition is for 12 semester hours. Houston Community College, Houston - $92.40 per credit hour in-district, $164.40 out-of-district, and $306.960 out-of-state as of 2013 (most recent published figures). Collin College, McKinney, Plano, Frisco, Allen, Rockwall - $41.00 per credit hour in county, $80 out-of-county, $209 out-of-state for the 2014-2015 school year. Richland College, Dallas - $59 per credit hour in-county, $111 out-of-county, $174 out-of-state for the 2014-2015 school year. The state also has International Game Developers Association (IGDA) chapters in Austin and Dallas. Most of these conferences, festivals and associations welcome animation entries and members. 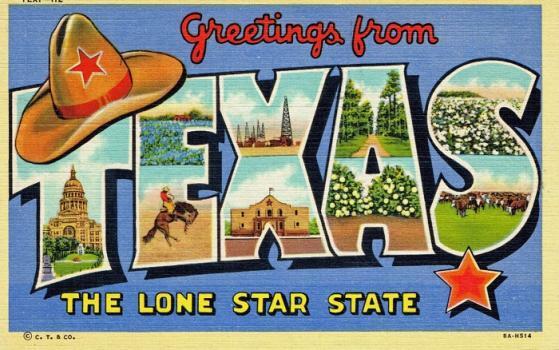 Texas is home to at least nine principal cities, each with its own art and culture scene. As you may have guessed, Houston, San Antonio, Dallas, Austin, and Fort Worth are the largest and trendiest cities, so a large number of opportunities can be found in these areas. However, other principal cities such as El Paso, Arlington, Corpus Christi, and Plano are well worth exploring. Awesome Animation Fact: All of the following animated films had a budget of $200 million or more: Cars 2 (2011), Toy Story 3 (2010), Monsters University (2013), and Tangled (2013). Live action blockbuster films such as Spider-Man 2 (2004), Terminator 3: Rise of the Machines (2003) and Titanic (1997) also had an estimated budget of $200 million.